The winner of a Powerball jackpot in New Hampshire hasn't collected her $560 million yet. Instead she's suing to stay anonymous. In a lawsuit filed under the name Jane Doe in New Hampshire Superior Court, she claims that she shouldn't have to out herself as the winner "because such disclosure would constitute a significant invasion of her privacy." The lawsuit said that previous winners have been "victims of violence, threats, harassment, scams and constant unwanted solicitation." But rules are rules, and the winner is required to identify herself, according to a Powerball representative for the state of New Hampshire. 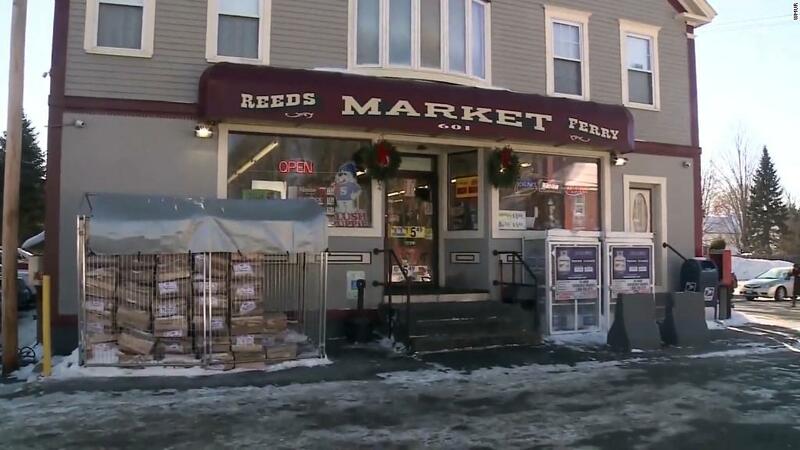 The winning ticket was sold on January 6 at Reeds Ferry Market in Merrimack near Nashua. Sam Safa, owner of Reeds Ferry Market, said that he wins $75,000 before taxes because he owns the business that sold the winning ticket. Safa told CNNMoney that he understands why the jackpot winner would want to remain anonymous, since he himself has been inundated with "nonsense calls" of people asking for money and wanting to know the identity of the jackpot winner. 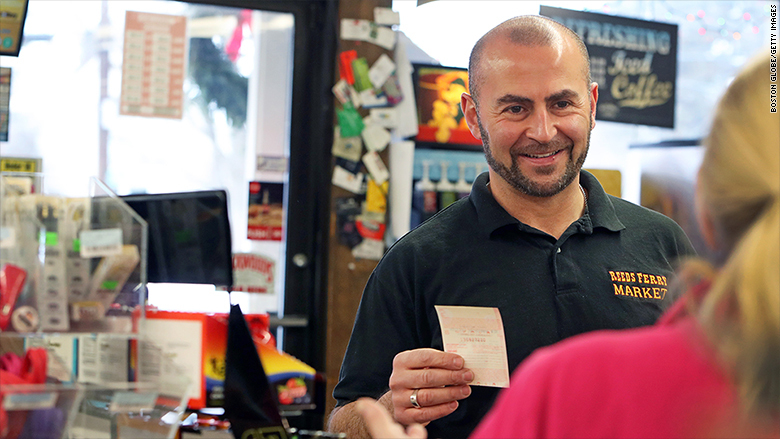 Sam Safa, owner of Reeds Ferry Market in Merrimack, N.H., which sold a $560 million Powerball ticket, said he understands why the winner wants to stay anonymous. "It's a hard situation because she wants to be anonymous, she wants to keep her life, stay in the town where she spent all her life," said Safa. Safa said he doesn't know who the winner is, but he does know that she's a local, and he's glad a local won. He also said that he's glad to be getting all the attention, which has boosted his business. Related: Who is buying Powerball and Mega Millions tickets? Doe, in her lawsuit, says that she followed directions from the state commission and signed her name on the back of the winning ticket as well as her address and phone number. Then she sought legal advice. It turns out she could have had the ticket signed by a trustee of a designated trust, and could have protected her identity, according to the lawsuit. "She has described this signing as a 'huge mistake,'" the lawsuit said. Related: We spend billions on lottery tickets. Where does all the money go? But McIntyre said that after consulting with the state's Attorney General, the commission will proceed according to the rules, which require that the winner be identified. "While we respect this player's desire to remain anonymous, state statutes and lottery rules clearly dictate protocols," he said. A lawyer representing Jane Doe did not immediately respond to messages from CNNMoney.